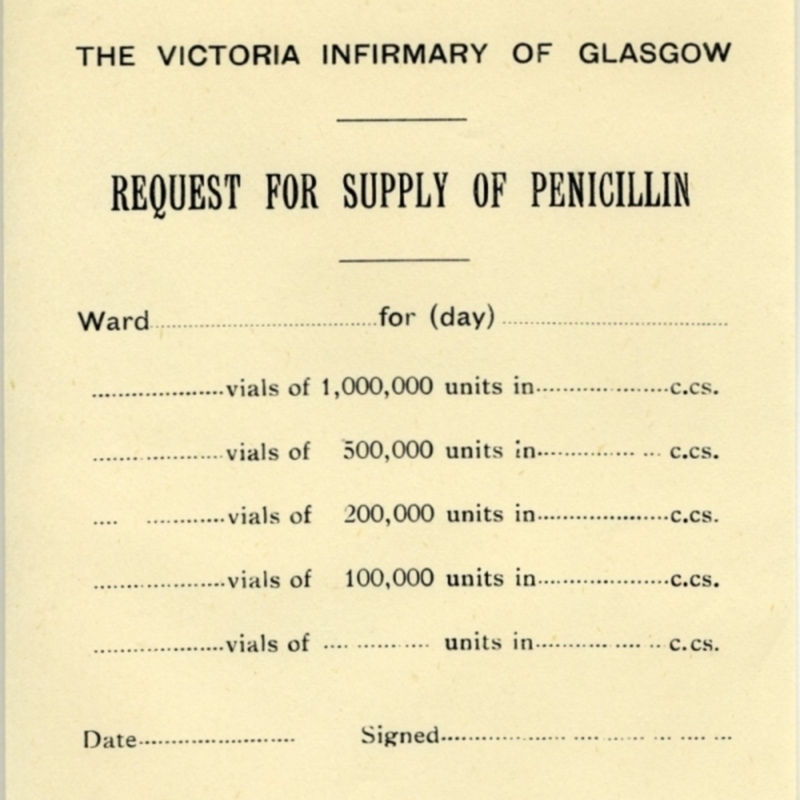 Form for request for supply of penicillin. 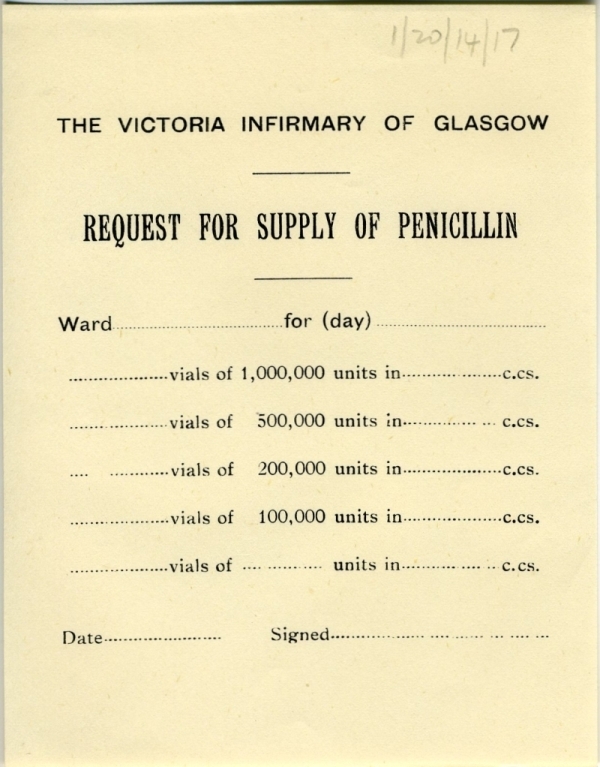 Victoria Infirmary (Glasgow, Scotland) , “Penicillin request form,” Heritage, accessed April 20, 2019, https://heritage.rcpsg.ac.uk/items/show/395. Description: Form for request for supply of penicillin.